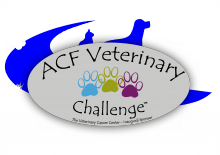 The 2nd Annual Vet Challenge! Will there be a repeat victory for MVC? New year, new location, new team mates, even more fun. OR Purrs and Paws and much applause! After our unexpected victory last year, the pressure was on to compile a team of athletes resembling the Avengers- we’re talking bulging muscles, unmatched speed, and definitely someone with glasses to read the paperwork and compete in the mental challenges. Our fearless leader, Emily, scoured the office high and low (mostly low- our staff averages a height of 5’4” after all) and came up with a team of wringers. We have Ali, the energizer, Kayla, the trainer, Jeff, the brains, Jessie, the brawn, and of course Emily, the captain. Chris, benched with a sore back, came along as our photographer and cheer leader (though he refused to bring the pom-poms). Our first competition was a familiar one; navigate across a life-sized chess board one square at a time with no verbal help from our team mates. One at a time we slid from square to square, our team silently jabbing fingers, arms, legs in the directions we should go. The thumbs-up we got from the referee every time we moved to a correct square was sublime; the thumbs-down of an incorrect move a cruel punch in the gut. After much shameful head-hanging and excited silent cheers, we sifted everyone across the board- before the other team! First challenge and we were off to a good start! The second challenge was a “safer” replacement to the dangerous tug-of-war that left so many of our team mates injured last year: trampoline dodgeball. Yes, it’s exactly what it sounds like. We didn’t waste any time getting this event taken off of next year’s list; before the competition had even began, Jeff was collapsed in the corner out of breath and Ali was nursing a sprained ankle. Yet we rallied and dominated our competition: Emily surprised us all by grabbing as many dodge balls as she could carry and sprinting them back to our start line with impressive speed; Jessie and Jeff performed an impressive tandem-catch that blew two of our opponents off the court; and Ali and Kayla sniped the other team with deadly accuracy. We came out victorious, winning 3 out of our 4 rounds and still feeling good! Our next event was a simple round through the batting cages where whichever team had the most hits out of 50 (10 per person) won. We leaned heavily on Joe, a team member that we adopted early on in the competition. He brought in a solid 10/10 hits and boosted our score. Jessie, Jeff, Emily and Ali each obtained a respectable number of hits and an even more respectable number of injuries with Ali limping around the arena and Jessie and Emily each holding their “batting” arms tenderly. Our team was victorious but looking a bit barbaric. Our fourth event was Jeff’s time to shine. We needed to tap 30 numbered pieces of paper in sequence with only one being touched at a time. This was a timed event, and Jeff “The Brains” Toste came up with a strategy that left us seconds ahead of all the other teams. After 3 trials, we came out victorious over all 5 other teams, securing our seats in the winners’ circle! While the judges tallied the scores, we each chose a representative to compete in a separate gladiator jousting competition. Armed with a giant foam Q-tip, the “gladiator” had to knock his or her opponent off of a small platform. Jessie was chosen from our team and, after trouncing her opponent, showed Jeff that brawn sometimes does beat brain by knocking him off his pedestal for good measure. Exhausted from the events, all 6 teams gathered in the dining room for pizza and beer- a perfect end to a wonderful day. We socialized with our “opponents” (The Superheroes, The Breakfast Club, Rat Pack, Shore Thang, and Keep Calm) until the moment of truth was upon us- they were announcing prizes! The Superheroes had the best costume, the Rat Pack had the best team spirit, and the MVC Purrs and Paws had the most points! We were awarded a big trophy cup and a gift basket including tickets to a James Taylor concert (Jessie and Ali jumped on those), tickets to a Whalers game (Emily couldn’t believe her luck) and assorted gift certificates, t-shirts, and books. We couldn’t have done it without our MVC team and the support of all our clients, paws and all! And the verdict is....REPEAT CHAMPIONS!! !